Just a friendly reminder that 88 Films' have successfully funded their remaster of Zombi Holocaust for 7,500 pounds, and are trying to reach their stretch goal of 12,500 to restore the far superior BURIAL GROUNDS. They're currently at 11,808 pounds (or about $1,000 USD short) and there's 4 days left. To put into perspective how goddamn hard I want the second goal to be reached, I donated 20 pounds early on for the initial campaign, and donated a second time this week in the hopes that we'll see the whole thing pass that threshold and get the second release finished. 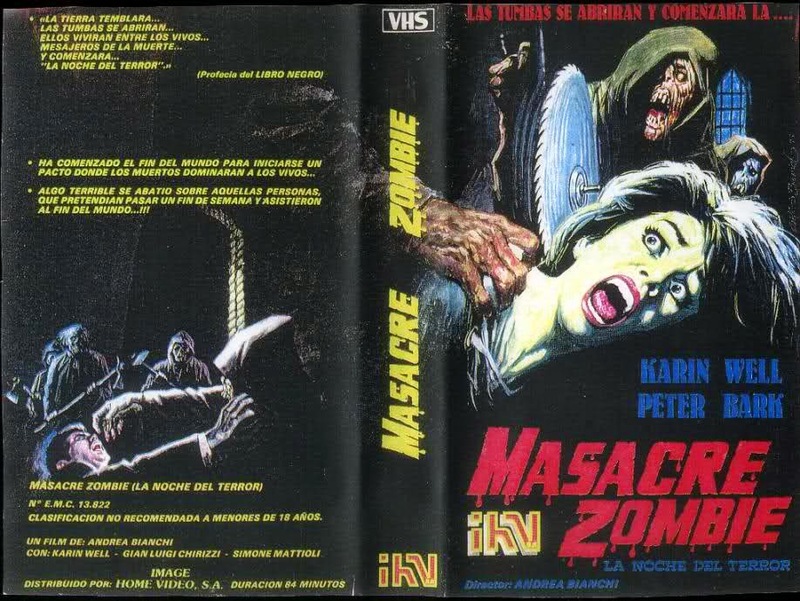 I've long thought that Zombi Holocaust was a pretty dull and disappointing experience, but I happen to think Burial Grounds is pretty goddamn awesome, a bizarre mash-up of 60s Spanish horror, 70s Italian erotica and some of the most charmingly terrible paper mache monsters in cinematic history, with a soundtrack that's so off kilter I can't even decide what planet it's supposed to be from. I'd also remind you that the Media Blasters BD is such a mess it's missing frames at literally every single cut, while 88 Films is prepared to do a new scan of a vaulted, and complete, Interpositive. Anyway, happy various holidays to all friends of the Kentai Blog. Probably won't be back until the New Year, but if any of you guys want to know what I want this year, I just want to see this goddamn flick get restored on Blu-ray. Plus if you kick in $40, you get a copy with an exclusive slipcover - so what's not to love? UPDATE: We did it, boys and girls! New transfers for both ZOMBI HOLOCAUST and BURIAL GROUNDS are incoming for 2015! i didn't think it was gonna happen, but then it did. very happy i made both donations.